Zhongshan Sanzang Electronic Technology Co.,Ltd. (Sanzang Electronic for short), which was founded in 2012, is a high-tech enterprise containing scientific research, production and marketing. The main business covers Intelligent Image Equipment, Hand-held Stabilization Platform, Printing Supplies Chip, Hand-held Industrial Inkjet Printer and other areas. The company has independent intellectual property rights and independent R&D team. Innovation and independent development are highly regarded. So far, sixteen utility model patents and three invention patents have been already applied. SEABIRD is an independent brand of Zhongshan Sanzang Electronic Technology Co.,Ltd. in the field of motion camera. The brand starts from the concept of “Innovation, Quality, Service” and widely provides sports enthusiasts with high-quality and novel products. No matter in extreme sports or in usual nice moments, SEABIRD will expand your view and catch the wonderfulness of your life. Li’an Technology, the predecessor of Sanzang Electronic, was established in Shenzhen, which was one of the enterprises that firstly researched and developed printing supplies chip in China. The corporate subject was officially registered, which extended the production line of the back end packaging of the chip and built marketing team to serve the printing supplies clients in Zhongshan, Zhuhai and even the whole country. The company developed a wholly-owned subsidiary — Shenzhen Xinzhuo Technology. Mr.Liutao was in charge of the General Manager and R&D Director, who enriched the capability of the company in designing, researching and developing the Integrated Circuit, which was a great leap to make the company become the domestic leader in the area of Printing Supplies Encryption Chip. The company was rated as “High-tech Enterprise”. And the IoT(Internet of Things) Encryption Chip Project won Zhongshan “Technology Innovation Award”, which got financial support for major project by Zhongshsn Technology Bureau with the fund of RMB2,000,000. The company set up Beijing Zike Zhikong Co.,Ltd, in which the original members of ZEROTECH were introduced, involved the R&D of 4K/8K and Intelligent Image Stabilization related products. The same year, the company was authorized by HUAWEI Hisilicon and became the authorized solution provider of HUAWEI Hisilicon. Won “Electronic Information Industry Prize of Enterprise Team”, issued by the fifth China Innovation & Entrepreneurship Competition (Guangdong Division), namely the fourth “Zhujiang Angel Cup” Technology Innovation & Entrepreneurship Competition. The same year, the company was selected for the finals of all industries of the fifth China Innovation & Entrepreneurship Competition. The company was rated as “Small and Medium-sized Technology- based Firms”. the company came to an agreement with MI-mijia. 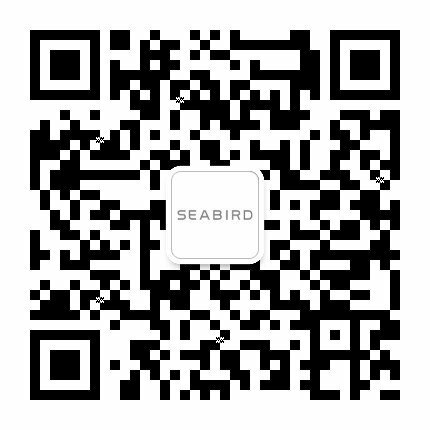 The corporate product “SEABIRD 4K Motion Camera” was marketed in MI Eco-chain.